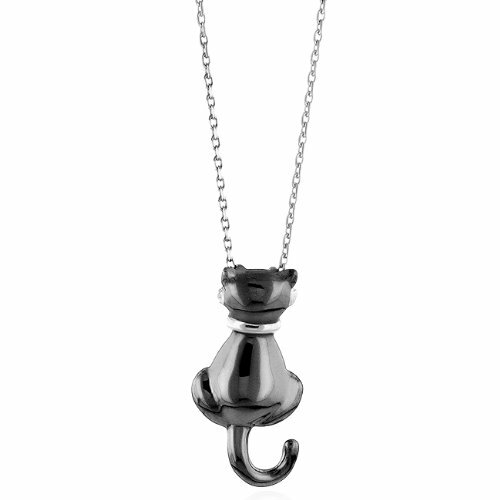 This designer cat pendant is a fun accessory for day or night! It is crafted in Sterling Silver and plated in black rhodium. Pendant comes with an 18" silver chain.